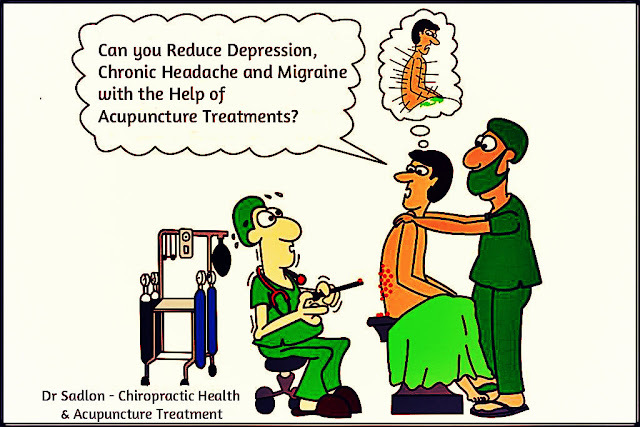 Acupuncture is a health care therapy that falls under a larger health care system i.e. Traditional Chinese medicine (TCM) and can be traced back to 2,500 years. Acupuncture is based on the premise that there are two opposing forces of energy (Qi) that flows across the body through invisible channels or meridians. When this flow of energy gets disrupted, disease is caused. Acupuncture therapy involves a group of procedures concerning stimulation of strategic points on the skin. The most thoroughly studied and practiced mechanism of stimulating these points includes insertion of thin, solid, metallic needles into these points to unblock the flow energy at identifiable points close to the skin. By releasing the blocked qi in the body, Acupuncture stimulates the functioning of the body while evoke the body’s natural ability to heal through different physiological systems. Modern research establishes acupuncture’s effect on different systems of our body including nervous system, circulatory system, digestive, endocrine and the immune system. By stimulating various systems of the body, acupuncture can help alleviate discomfort caused as a result of pain, improve digestive functions, and sleep related disorders and overall sense of well-being. When you visit an acupuncturist, he/ she will seek information about your health history. Followed by this he/ she he will feel your pulse, examine your tongue’s color, shape and coating, and recommend or perform some physical tests as per individual health needs. Once the practitioner has gathered all the necessary details about the patient’s health, he/ she will recommend a treatment plan to address your precise condition. The treatment begins with the practitioner using sterilized and fine needles to stimulate various acupoints on your body. Most of the times people feel little to no discomfort as fine needles are gently inserted. The needles are kept inserted for 5-30 minutes. People availing acupuncture treatment have reported feeling extremely relaxed both before and after treatment. The number and treatment sessions required differ from patient to patient. While some people happen to enjoy dramatic relief only in the first treatment, people suffering from long-standing chronic conditions might require a couple of sessions per week for several months. As a resident of New York, you are sure to get access to several practitioners offering Acupuncture in Penfield NY. However, you need to do your homework well before engaging the services of any practitioner.